You could spend hours researching how to generate the best leads and walk away frustrated. Marketing is no longer as simple as placing an ad in the newspaper or updating your storefront. Lead generation is an amazing tool to have, but there is no automatic answer to getting more leads. Leads come from PPC, advertising, social media, plus a lot of variables, some even unknown. It’s honestly hard, even for the experts, to determine exactly how to get the best leads. But that doesn’t mean all hope is lost. It just means you need to be patient and give your business time to find what works for you. 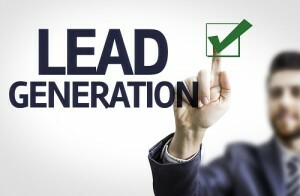 There are three important rules to remember as you embark on the journey of lead generation. You can ignore them and just forge ahead, but it will cost and even waste your time and money. These rules are not exciting – they’re very basic – but they will build a strong foundation for you. 1. Think about the long-term. Why waste your efforts if this won’t help your business in the long run? Experts agree that you need to build value into your lead generation process to continuing reaping the benefits over the coming years. This will take time and careful thought – but don’t skip this step. You won’t be seeing the leads pour in just yet, but you’ll get there. In order to build value, do something out of the box. Try writing a blog post every day for 30 days – use your professional knowledge and experience to share valuable insight related to your industry that will actually help people. 2.Don’t worry too much about building lists – you want to find buyers, not just a large list of names and emails. People who just want something for free probably won’t turn into a buyer – so focus on those leads who know you’re selling something and want to know more. 3. Don’t wait around to build a relationship with everyone. If a lead wants your product, they’re going to buy it. Be upfront about what you’re offering and focus on those leads who seem interested. 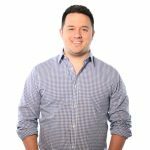 The Simple Approach: Don’t forget about easy techniques to get leads like including offers all over your website or in your email signature. You never know when someone might decide to click on it. Don’t shy away from other simple ways that are free or very cheap to get some quality leads. The More is More Approach: You used to be able to offer a free ebook on the “Top 10 Ways to X.” Now, people want value in exchange for their personal information. So offer them some value! In order to get leads, be willing to give people something that is free and valuable and better than what your competition is offering. The Clearance Approach: A lot of people buy things when they’re on clearance because they know the product is on its way out of the store and they’ll never see it again. Utilize this shopping psychology to your advantage. If there is no expiration date on your offer, what is keeping a lead from just coming back to check it out later? Give a reason for people to act now. Finding the best leads will always take time. But if you do your research, plan ahead, and put some careful thought into your lead generation strategies, you can’t go wrong.